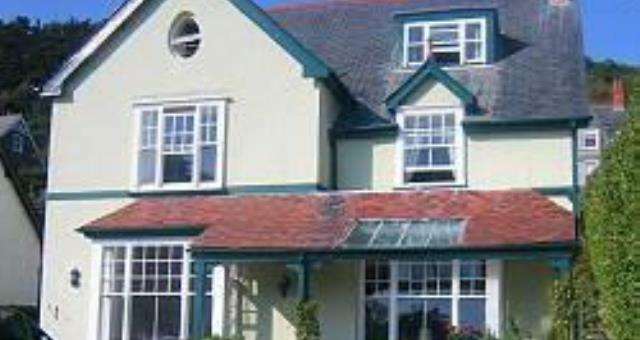 Cartref Guest House01654 767273work Guest HouseA beautiful Edwardian house dating back to 1910, today Cartref is a stylish and comfortable guest house. All rooms are en suite with a choice of super king size doubles (6’ wide), king size doubles (5’ wide), twin bedded rooms and a single room. 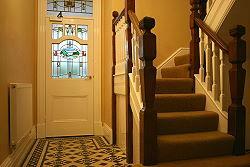 Cartref is only a few minutes level walk from the centre of the village with its coffee shops, bars and restaurants. For those that want to enjoy a stroll along the miles of golden sandy beach we are even nearer. There is private car parking on the drive or for those who prefer the train, we are less than 200 metres from the train station. So whether it's paddling by the waters edge and building sand castles, crabbing from the jetty or enjoying the great expanse of natural beauty that surrounds us on foot or bike, we hope that you will enjoy your stay and find plenty of reasons to come back time and time again. The grid shows the prices and daily availability from Sat 20 Apr 19 to Sat 27 Apr 19. It's easy to check availability for particular dates; just use the calendar to choose the check in date, select the number of nights and click the 'Search' button. Click the Book Now or Book Direct button to book the highlighted days. With Book Now the room booking will be confirmed immediately, with Book Direct the room reservation will be confirmed within 24 hours..
A beautiful Edwardian house dating back to 1910, today Cartref is a stylish and comfortable guest house. All rooms are en suite with a choice of super king size doubles (6’ wide), king size doubles (5’ wide), twin bedded rooms and a single room. Heading west through Aberdovey we are 100 metres after the post office on the right hand side. Going east, we are 200 metres after passing the 30mph sign.